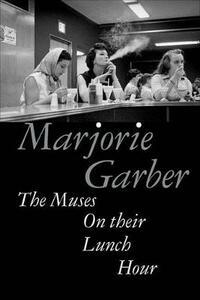 As a break from their ordained labors, what might the Muses today do on their lunch hour? This collection of witty, shrewd, and imaginative essays addresses interdisciplinary topics that range widely from Shakespeare, to psychoanalysis, to the practice of higher education today. With the ease born of deep knowledge, Marjorie Garber moves from comical journalistic quirks ("Fig Leaves") to the curious return of myth and ritual in the theories of evolutionary psychologists ("Ovid, Now and Then"). Two themes emerge consistently in Garber's latest exploration of symptoms of culture. The first is that to predict the "next big thing" in literary studies we should look back at ideas and practices set aside by a previous generation of critics. In the past several decades we have seen the reemergence of-for example-textual editing, biography, character criticism, aesthetics, and philology as "hot" new areas for critical intervention. The second theme expands on this observation, making the case for "cultural forgetting" as the way the arts and humanities renew themselves, both within fields and across them. Although she is never represented in traditional paintings or poetry, a missing Muse-we can call her Amnesia-turns out to be a key figure for the creation of theory and criticism in the arts.